About Our Seattle Nanny Agency - Trusted and experienced, our Seattle Nanny Agency has all the right credentials. You are Invited! - Please come learn more about ABC's Career Nannies and the source that started it all! Why this Seattle Nanny Agency? - This Seattle Nanny agency has the most extensive screening process in the country! ABC is known for it's experienced staff and devoted team of caregivers. We are a trusted nanny agency developing positive relationships with our Clients and Caregivers throughout Seattle. Never Hired a Seattle Nanny Before? - It is a big decision to leave your child(ren) in the care of someone new. Many families have said that their has become part of the family when they hire through ABC. If you are looking for a professional, you have come to the right agency. Do You Need a Seattle Nanny? - Professional Nannies engage in the role of assisting parents whether they are working or need a right hand in the home. They are childcare professionals that specialize in one-on-one attention and education. What We Will Do for You - Beginning with an in-depth conversation with a placement counselor, ABC will determine which nannies will be best suited to your individual needs. ABC will provide you will all the information you need to keep things simple and effective. Nanny Salaries in Seattle & Standard Responsibilities - Appropriate salary ranges are based on the position description, number of children your nanny will be caring for and the experience of the particular candidate hired. Your ABC placement counselor will give you advice regarding a salary recommendation but the decision on what to offer is completely at the discretion of the parents extending the offer. Where are the Best Seattle Nannies? - Learn more about why ABC has developed the reputation in the local community as the agency providing the most experience and safe candidates. Many of our nannies are recommended by other Nanny professionals and many of our families are recommended by other families. Word of mouth travels fast! See Seattle Nannies Immediately - Take a peek and some current available nannies in Seattle now! The Assessment - Learn more about the consultative approach utilized throughout the placement process that will assist you in finding your career nanny. FAQ's - You may have some of the same questions other families have asked. Learn the answers here! Seattle Agency Answers You Must Know - It is important to do your homework before selecting the best agency for your family. Nanny verses Daycare - View the advantages and benefits of hiring a nanny rather then a daycare setting. Nanny 10 Step Acceptance Process - This is the MOST critical information you will need to have to make an informed choice as to which agency you can trust with this extremely important assignment of assisting in the selection of the caregiver for your family. ABC leaves NO stone left unturned. Each candidate has been fully screened PRIOR to acceptance. Questions to Ask Your Nanny - New at the interviewing process? Please look at some suggested opening questions to give you the opportunity to get to know your potential nanny early in the process. Seattle Service Areas - See the cities that we service in Seattle and surrounding areas! Initiate Seattle Nanny Search Today! - Once you have registered everything will happen very quickly. An ABC placement counselor will be in contact with you in a matter of a few hours to initiate the consulation, find out your availability to begin interviews and start the process immediately. You can anticipate to begin interviewing with candidates face to face within 1-2 days. Placement Fees and Guarantee - View our fee structure and our exclusive ONE-YEAR guarantee. 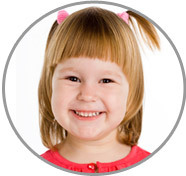 Seattle Testimonials - See what some recent families and nannies are saying about ABC Nanny Source! Customer Service - ABC's number one priority at ABC Nanny Source, among others, is providing each of our Clients and Nannies the best customer service! Please tell us how we are doing today! Satisfaction Survey - ABC recognizes and values each employee that takes part in this important process and we appreciate it when our Clients and Nannies take a moment to provide feedback for our Corporate office. Your suggestions and commendations and taken very seriously! Employment / Seattle Nanny Jobs - Are you a Seattle Nanny seeking employment? Contact our office today! Seattle Nanny Application - To begin the employment process, you must start by completing the ABC Nanny Application online. A Scheduling Coordinator will be in contact with you to discuss your qualifications and credentials within 24-48 hours upon your submission of the completed application! Seattle Employment Salaries - Find out more about the different employment opportunities with ABC Nanny Source today. Sumbit a Reference for a Nanny - Are you a family who has employed a nanny that is currently being considered for acceptance at ABC Nanny Source? Please offer your personal and/or childcare related recommendation here! Nanny FAQ's - Have questions about the duties of nannies? Interested in typical salaries? Questions about benefits? Look here for more employment information. Interview Feedback - Please share your feedback from a recent interview here for your placement counselor right away. Submit your feedback completely confidential today. Seattle Nanny Testimonials - See how what many Seattle nannies are saying about their experiences working with ABC Nanny Source. You will quickly find ABC comes highly recommended! Contact a Placement Counselor - Get the process started today! Speak with an ABC Counselor TODAY!